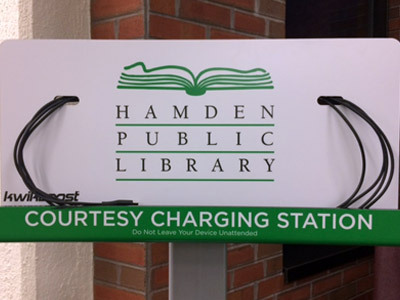 The Miller Library has a new Kwikboost charging station, located on the second floor neat the Teen Area. The station can charge up to 8 phones at a time at full speed and supports most major phones including iPhones, Android, Blackberry and Windows. This service is free for all library users. Note that these stations are not monitored and you are responsible for the security of your device. Please do not leave it unattended!